On Monday 4 April 2016 I visited the Dorset County Museum in Dorchester. 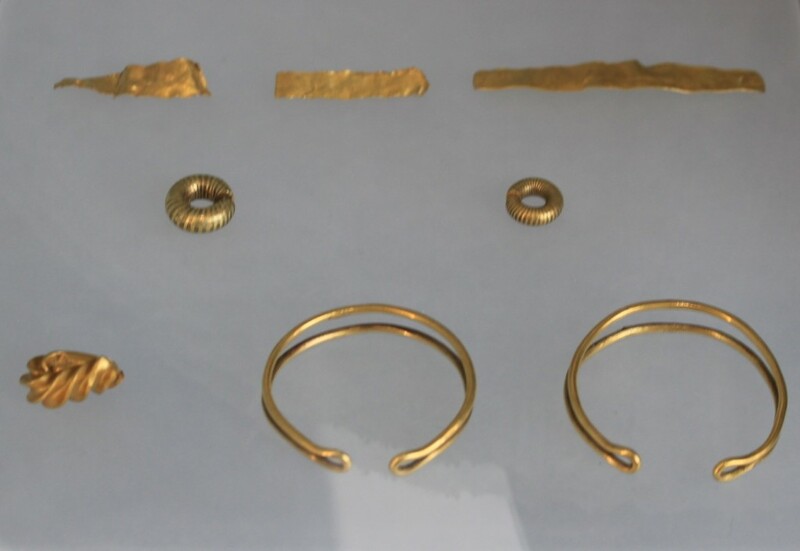 This visit was first inspired last year on viewing a photograph of the above object, which is on display at the museum. 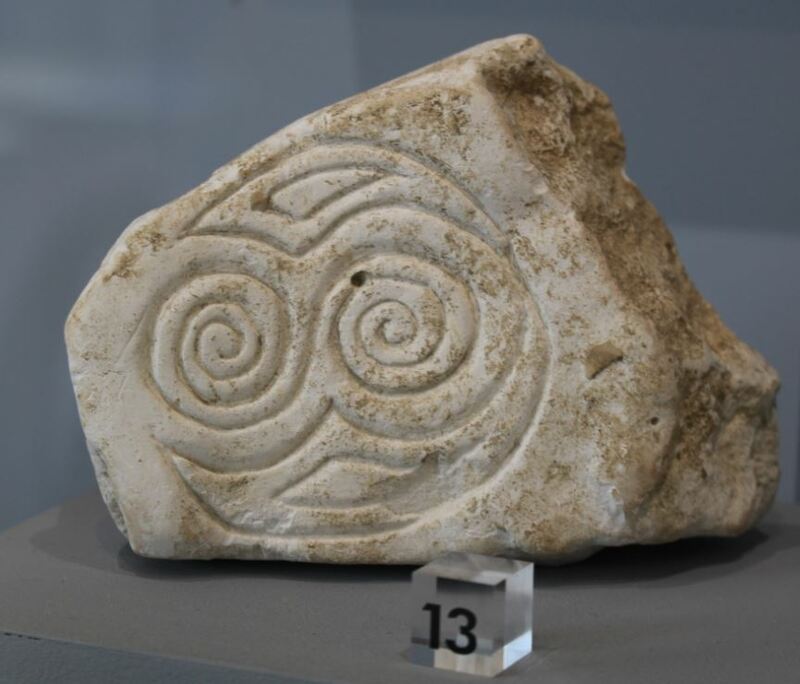 The chalk carving is described as ‘found in the south ramparts of Maiden Castle, Dorset. 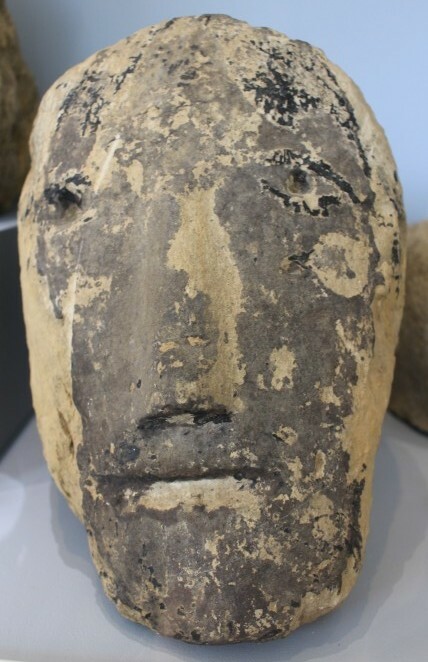 The spiral — a common decoration in prehistoric art — suggests a human face.’ The carving also incorporates a primal solar form into the ‘eyes’ of the face, hinting perhaps at observations made by man of the apparent movement of the sun across the skies and horizon between midsummer and midwinter solstice standstills. 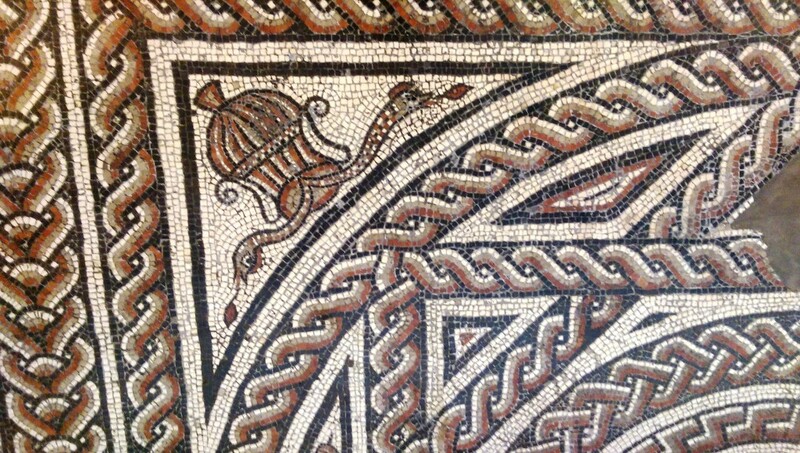 One of the most iconic displays in Dorset County Museum are the mosaics inlaid on the floor, which came from Roman townhouses excavated in and around Dorchester, the site of the Roman town of Durnovaria. 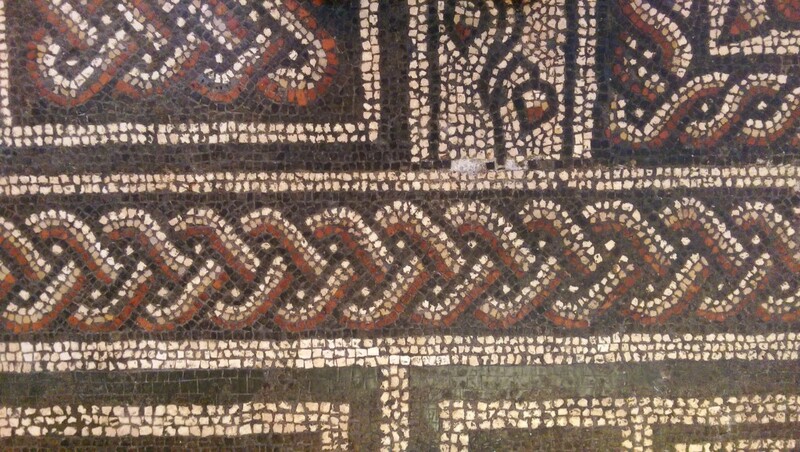 These mosaics were removed from their original locations and painstakingly relaid in the museum where they can be walked on to this day. 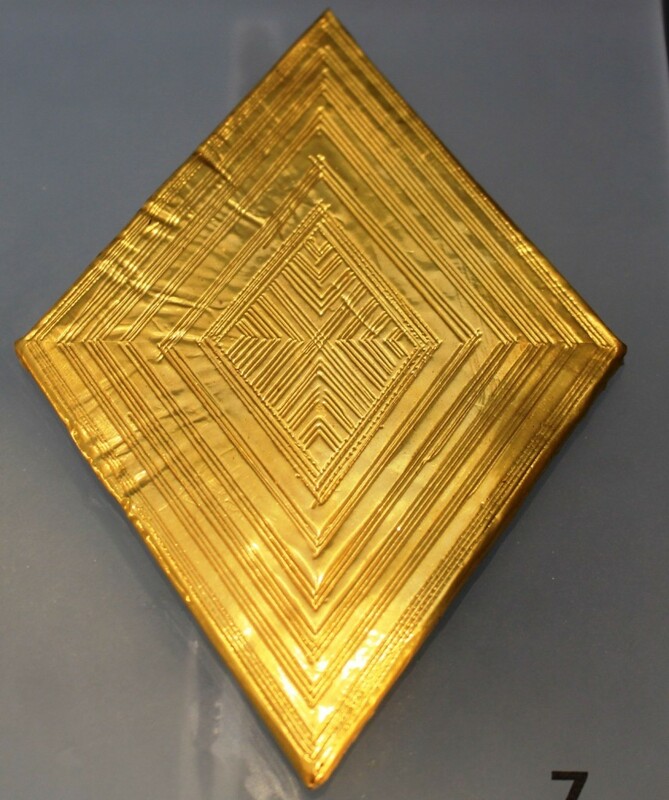 This large geometric pavement was discovered during building work in Durngate Street in Dorchester in 1905 and was relaid at the Museum by the then curator, Captain Acland. 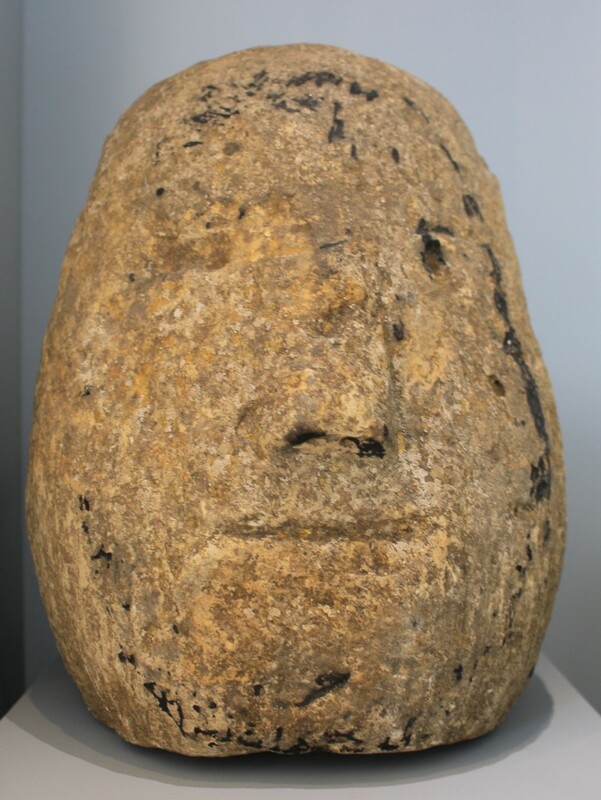 Below: ‘Celtic’ heads, reputed to be connected with Iron Age religious rituals. Clandon barrow is a Bronze Age bowl barrow overlooking the village of Martinstown near Dorchester and lies on the same ridge as Maiden Castle, more here and here. 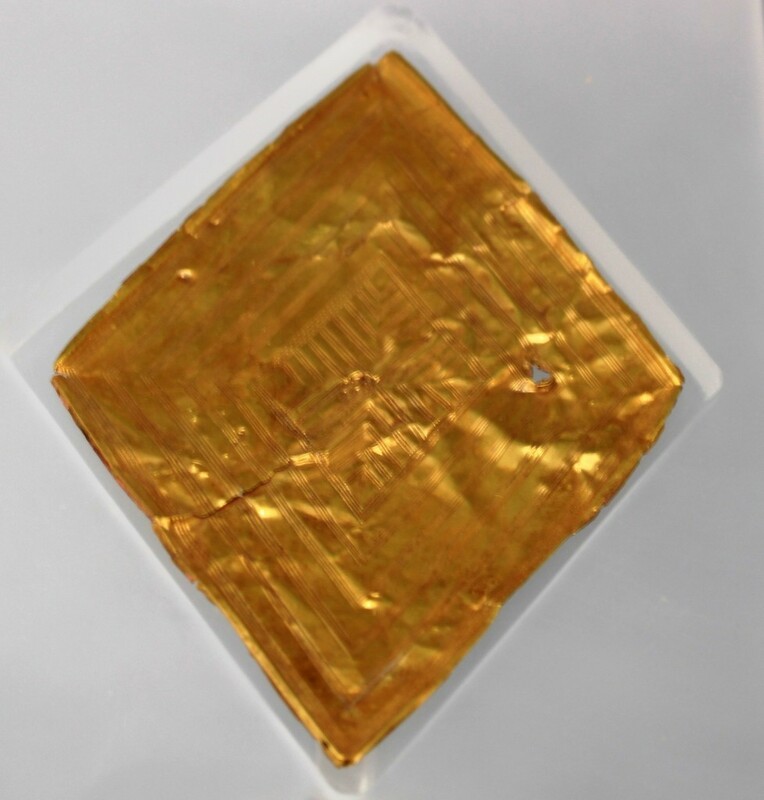 The similarity in style between the Bush Barrow lozenge and the Clandon Barrow lozenge led John Coles and Joan Taylor, (Antiquity, XLV, 1971, pages 6-13) to suggest that ‘the individual hand of a particular craftsman can be recognised’ and a comparison of the two objects is made here. 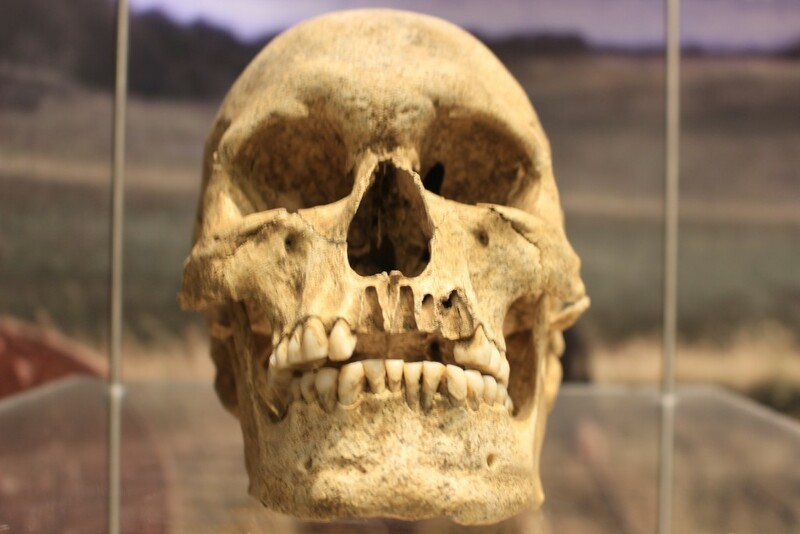 Thank you to Dorset County Museum for their hospitality and allowing photographs to be taken at the museum.